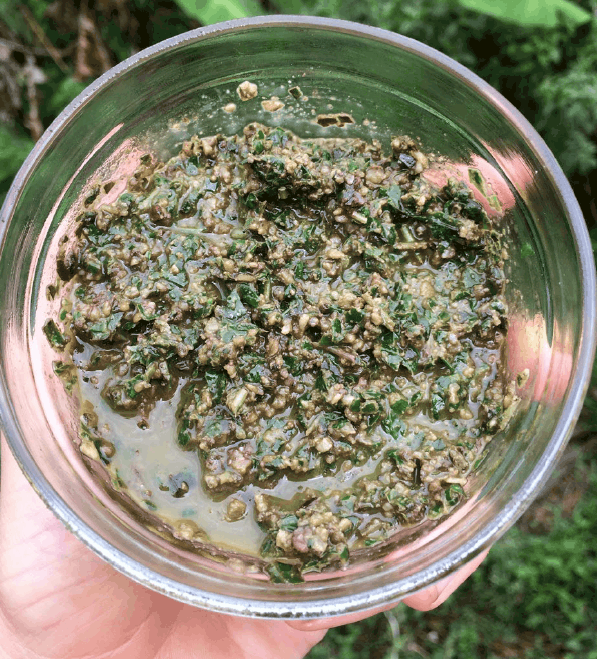 Pesto can be a yummy way to get your get your micronutrients as well as high levels of fat at the same time. This rustic version comes from Jessica Haggard’s Primal Edge Ketogenic Cookbook. Simple to make, it contains basil, pine nuts and olive oil with garlic for extra taste and minerals. The basil and nuts end up being a carrier for the olive oil. Thanks Marty! Love you’re work! Kind regards, Jen.